Very early on in my gaming career, I discovered Robert E. Howard’s Conan character, through my friend John in Junior High School. This is the same friend who taught me how to draw and also exposed me to D&D. He let me borrow a bunch of beat-up old Conan paperback novels of his, many of which were in such bad shape that he had put a rubber band around the book to hold the pages in place. I devoured these stories and discovered that they had much more depth than I had originally assumed based on their somewhat lurid pulp fiction covers. There are many other blogs out there that wax poetical about Conan, so I won’t go into too much more detail. One part of the novels that I loved, however, was Conan’s constant travels. The Conan stories almost read like a travelogue of Hyboria, Conan’s world. As a thief, soldier of fortune, pirate, treasure hunter, and more, Conan really got around (and not just with women, although he was pretty adept at that, too). But he must have traveled more than anyone else in his time because I’m pretty sure he visited every country in existence at least once during his life. At the time I was getting into D&D and pulp stories, I was also rediscovering my love of comics, which I’d stopped reading in the late 70’s after I grew tired of Marvel’s Star Wars comics. But, around 1984 or so, comics seized my imagination again, partly due to TSR’s Marvel Superheroes RPG, which was released right around this time. I felt like, in order to play that game, I needed to be more current with my comics knowledge. So, I started grabbing issues of all of the Marvel greats. Imagine my surprise to discover, right alongside the X-Men, Spider-Man, and the Avengers, a comic called Conan the Barbarian. This was probably around issue #157 or so. 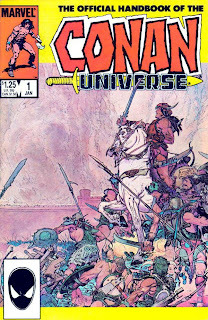 I collected the comic for a few years, and around 1986 I was thrilled to see another Conan comic book on the newsstand: The Official Handbook of the Conan Universe. 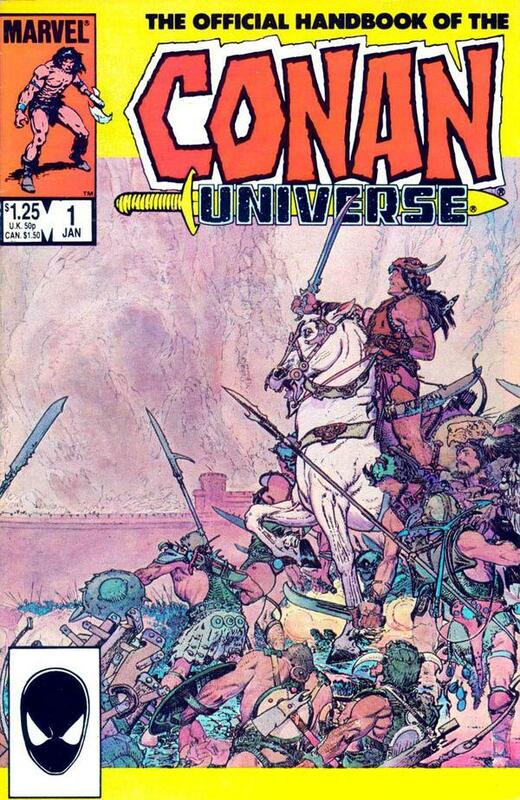 This comic was basically like an encyclopedia for the Conan stories, covering every country from the books and comics, as well as armor and weapons, the gods, and key personalities. The descriptions of the various countries were really what captured my attention. If you read my “Inspirations” post about History, then you know that this concept is right up my alley. Hyboria, as envisioned by Conan creator Robert E. Howard, had a huge influence on the way that I started creating worlds. I loved, and still do love, the idea of having an ancient Egyptian culture co-existing with the cultures of medieval Europe, Byzantine Greece, ancient China, and feudal Japan. It’s like combing through the history books, finding the eras that interest you the most, and then plugging them into a world to see what would happen. There are lots of campaign worlds out there that do similar things, but I often find that they stray too far from the “source material” in an effort to be original and creative. And, there’s really nothing wrong with that – there’s a place for those types of games, too. 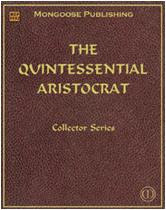 But, for me, I try to stay pretty close to the Hyborian pulp model of taking the culture basically “as is” and then just adding in a few elements of magic, some otherworldly bad guys, a sprinkling of secret societies of evil priests or sorcerers, and some anachronistic technology like telescopes or printing presses just to keep things interesting. For my World of Samoth game, this is how I started building my campaign world. I used names that were easily identifiable with the real world cultures upon which my countries were based, so that it would be easier for my players to instantly grasp the “feel” of each area. I had planned to try for a low-magic world, similar to the Conan stories, but that original plan changed over time, partly because I found that it was extremely difficult to try to run a low-magic game using the D&D 3.x edition rules as written. But, I think much of the flavor of the original Hyrobia inspiration is still evident. Granted, the world of Conan is not the only influence on the World of Samoth, but it is a pretty major one. In a related story, I just found out that one of my gamer buddies, a friend of one of my DM’s, whom I haven’t seen in a few years, is actually one of the screenwriters for the upcoming Conan movie. I’m excited for him, but also excited for us fans of Conan, because I know that he’s a great writer. Hopefully the “suits” don’t get involved and change it too much. I hope to be able to see him at an upcoming game day in a few weeks and learn a little more from him then. I think the Conan Universe is great. In my high school world building days World of Greyhawk was my inspiration for structure of write-ups, and it was my inspiration for content.